Alex R. Baghdassarian is a partner in Peckar & Abramson’s Los Angeles office. He focuses his practice on construction contract administration, development agreements, and claims and litigation, including construction defects and delays, and claims involving defaults, terminations, contract sum adjustments and time extensions. Mr. Baghdassarian handles binding arbitrations, and jury and bench trials in the Superior Court of the State of California. Mr. Baghdassarian obtained a $146 million jury verdict for the owner in the Royal Palm Resort litigation, a 10-month jury trial on Guam involving the structural collapse of a high-rise hotel during an earthquake. He also represented the owners of the Frank Gehry designed Walt Disney Concert Hall in connection with $60 million in claims asserted by the contractors, working closely with the County of Los Angeles' in-house and outside counsel to resolve the county's property rights with respect to the completed concert hall. 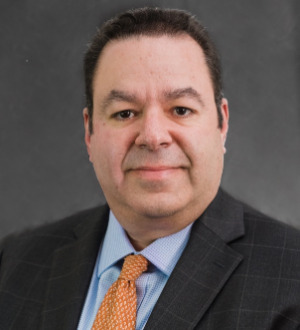 In addition, Mr. Baghdassarian successfully represented the owner/developer at arbitration of a $40 million claim pertaining to the long-term operations of an inert debris landfill. He has acted as lead counsel for mechanics’ lien claimants on various matters pending before the Superior Court of California Complex Litigation Panel. Recently, Mr. Baghdassarian helped negotiate the construction contracts for two Marquis projects in Los Angeles: The Wilshire Grand Center, which, when complete will be the tallest building west of the Mississippi, and the Midfield Concourse project, the first all new terminal construction at the Los Angeles International Airport since the 1960’s, which will house 22 new aircraft gates. As part of his diverse construction litigation practice, Mr. Baghdassarian has handled bid protests involving municipal agencies as well as the Office of Hearings and Appeals for small business administration matters, and disputes involving commercial general liability policies, excess insurance and reinsurance issues, as well as surety coverage. Mr. Baghdassarian received his law degree from the University of Southern California, and he served as an extern to the Hon. William J. Rea, United States District Court for the Central District of California.